A quick and long-overdue update (in English + auf Deutsch) on where I am and what’s happening with my weekly Moving Postcard web series (which just reached its 200th week)… and an official introduction of Whiskey. 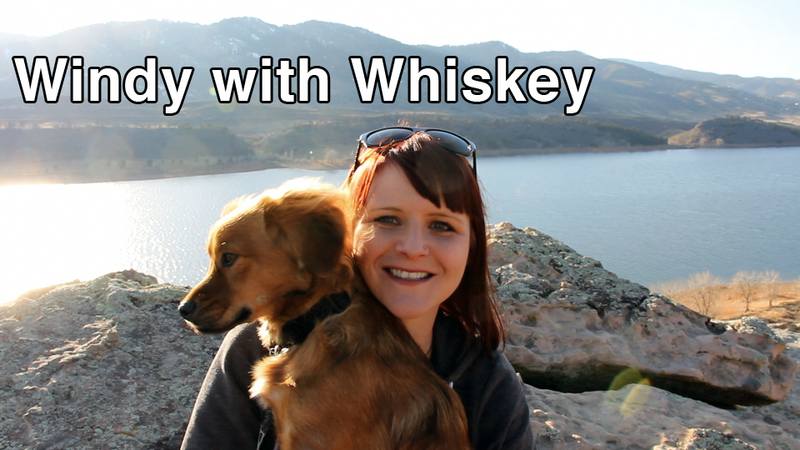 While it was a beautiful day, it was super windy up on the rocks around Horsetooth Reservoir. So I apologize for all the wind noise. Yes, I should have used the lavalier mic and yes, I need to look in the camera more. When I tried uploading these videos to YouTube, I got the same error that many people seem to have experienced over the last few months: my video was perpetually stuck in "processing" claiming to be 95% done and then sitting there for over 8 hours without doing anything. Of course, you can't reach anyone at YouTube to help resolve any issues - even if they are very common issues. In addition, you can't even find any official documentation on how this problem can be resolved. I read up on everything I could find. Tried different codecs on export and different browsers - all to no avail. Yes, one little letter "s" did the trick. Instead of 12 hours of processing, my videos each uploaded within 5 minutes. If I understood it correctly, SSL pages include an error check (making sure what was sent is the same as what was received). There's the theory that larger, longer uploads my arrive with faults if you had drop-outs of your Internet connection. The other adjustment I made from the original video (and this may have sped it up, but didn't resolve the problem on its own) was to drop the video export bit rate down from my usual 15,000 to only 5,000. This cut down the size of the file from 400 mb to 160 mb. With my 1-minute videos I'll keep the bit rate high, but for these longer vlogs, a lower setting probably makes sense. I export directly from FCP as .mov with h.264 codec. Frame rate set to current. Bit rate set for streaming (with 5,000 - 15,000 kbps). Frame size usually 1080, but dropped to 720 for the vlog. Streaming: checked for "fast start"
Thanks to everyone who helped me beat this YouTube bug!